While the rest of the world was busy greeting Monday with a frown on their faces, the most loathed day of the week turned out to be quite a cherished one for Karun Nair. After all, there are hardly better ways of beating Monday blues than by converting one's maiden century into a triple ton. Karun etched his name in the record books as the second Indian to cross the milestone, and became the quickest to the feat (just three innings, beating the record previously held by Len Hutton) of all time among some of his other achievements. In a day that would have sent cricket statisticians into a tizzy, India gained a first innings lead over England in a rather handsome manner — by putting up their highest-ever Test innings total of 759/7, gaining a handsome first-innings lead of 282. If the Chepauk crowd was left stunned in silence after KL Rahul was dismissed for 199 earlier on Day 3, then they were in for a treat the following day when Rahul's Karnataka teammate Karun entered a club that was previously occupied only by one Virender Sehwag — who slammed 309 and 319, with the latter also being scored at Chepauk. The youngster even got to his milestone with a boundary rather than taking a nervous single, something that would have made the 'Nawab of Najafgarh' proud. Sehwag after all, became the first Indian to hit a triple century, getting there with a six off Saqlain Mushtaq in Multan. "This is the best knock I've played in my life. The first hundred is always important and I think when I got the first hundred, I didn't feel any pressure. I was just playing my shots after that," recounted an elated Karun after the day's play. 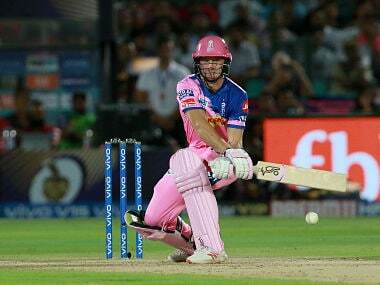 One of the other things that the Delhi Daredevils batsman emphasised on after stumps was the fact that the pitch was starting to turn a bit, and that is something that could come in handy for the Indians on the final day in their pursuit of a 4-0 series scoreline. 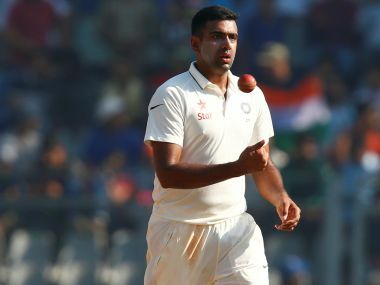 Among the several impacts that the innings might have had, it now puts India in the hunt for bowling England out on the final day, if their lethal spin duo of Ravichandran Ashwin and Ravindra Jadeja can gain some purchase from the track on a deteriorating track, even if it has been a batsman's dream for the most part in the Test so far. England's opening duo of Alastair Cook and Keaton Jennings were unbeaten at stumps, batting on 3 and 9 respectively, with the latter hitting a boundary in the fourth over of the innings. However, they will be under immense pressure when they head out to bat on Tuesday morning, given that they have three sessions to bat out. The fact that they will be on the back foot from the start is something that the Indian spinners will look to use to their advantage. India skipper Virat Kohli will likely open his bowling with the feared spin-pair of Ashwin and Jadeja, with a plenty of close-in fielders. 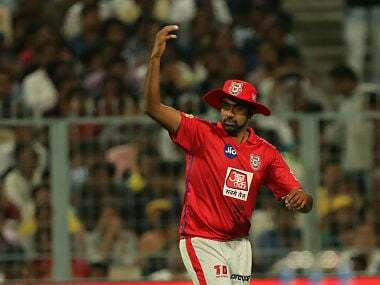 Ashwin was getting some turn from the very second over, and one can expect him to get a decent amount of drift and dip, one that has helped him bag 28 victims in the series so far. Jadeja, on the other hand, has primarily relied on variations in his pace, and will look to use that to good effect on the final day as well (especially to get the wicket of Cook, whom he has dismissed five times so far). A couple of early wickets in the first session are all that the hosts would need to further strangulate the visitors. Despite only a day being left in the Test, the hosts need to master the art of patience once again, which eventually will yield results in their favour as it has for them in this series, most recently in the fourth innings collapse in Mumbai.